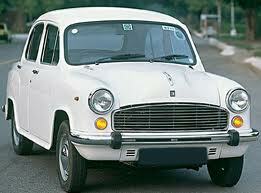 Ambassador Car was manufactured by Hindustan Motors Of India since 1958. This car is indeed a legend of India Car Manufacturing but now with the low demand for the car and more expenses finally Hindustan Motors announced to shut down Ambassador car manufacturing on 25th May, 2014. it was started in okha near gujrat and further expanded in madhyapradesh, Utterpara west bengal, kolkata but now with the competition and out of fashion model company slowly reduced there production and before production it was also said that company had a goal to to produce only 4 cars in a day because of very law demand. What was the problem with such an iconic car ? This Car had an iconic image from British era till today. In British era many of the officials used to travel from Ambassador as it was royal in that period and day by day this car was also got an image of government servant car. 1990’s was the actual starting point of competition between automobile sector. but till the time Ambassador already contributed for liberalization of India. the taxi model were introduce of Ambassador with the intention to provide royal treatment to consumers. but with the foreign competitors, the strategies of selling Ambassador got a reversed gear. till the 1986 Ambassador was enjoying monopoly for its Indian creation and royal look in India. but here do you think introducing the taxi model affected the brand ? When foreign investors came with their automobile brands they realized this fact of taxi and therefore they made a strategy to compete Ambassador model by manipulating mind of customer by providing a general look for Ambassador so that customer will think ‘ If Ambassador is running on road as public vehicle why i should purchase that ? I need my personal vehicle !’ because at that time purchasing power was with the rich people group who seek for betterment of life style. Ambassador had an a unique property to be indigenous car made in India, but it seems Ambassador stick up with this property and could not able to compete with foreign players. Similarly Foreign player came in India with their technology and with the technological advancement and trendy product development in cars after some time foreign players completely dumped Ambassador and started competition in automobile sectors with other company. but still some where Ambassador was exist on a hope of senior citizens, Taxi drivers of bengal, government employees and after some period Ambassador was only producing the car for Government. But this position was also taken over by automobile companies like Mercedes, BMW and Mahindra’s Scorpio. now even Government people want expensive and royal cars for travelling. Even most of the car models are taken by most of the taxi and cab drivers there fore finally Ambassador production stopped but this model got a special space in Indian Automobile as the first Indian manufactured car model. Always follow the trends and have a competition in your life. It will give you a good strength of existence at every stage. Be adoptive of changes it will bring more opportunity for you to grow.